Bodies in Balance is proud to welcome Blossom Leilani Crawford back to the studio on September 29, 2018. In this exciting workshop, Blossom will explore the classical Cadillac repertoire along with simple and effective twists created by her mentor, first-generation Pilates master Kathleen Stanford Grant. She will also introduce some of her own concepts and exercises based on the traditional vocabulary. It will be a fascinating journey that combines old and new exercises on the largest piece of apparatus. 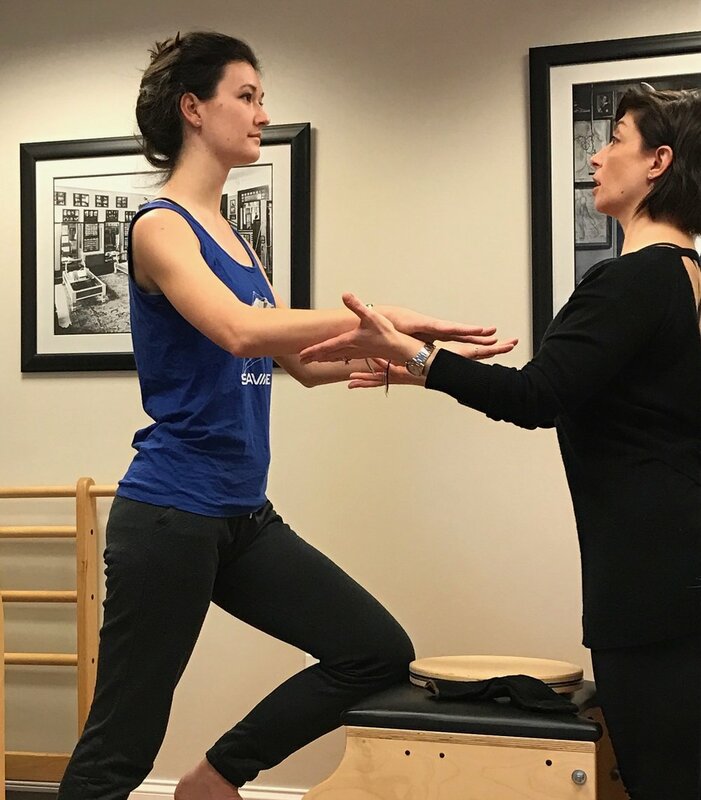 As she recently told Pilates Style magazine, the Cadillac is one of Blossom's favorite pieces of equipment due to its incredible versatility. Come join us to witness her expertise and see how equal measures of fun and hard work come together on Joseph Pilates' unique invention. In equipment sessions, the barrels can be a short addendum to a workout, but, after this workshop, you will see how an entire workout can be done on a barrel and even be improved as a result. We will explore the barrels' unique shapes and demonstrate how they can be utilized to challenge and align the spine for a variety of students.